This comfortable, modern holiday home is in the peaceful district of Petrcane. There are three bedrooms, one big living room with a kitchen and dining area and a bathroom with a laundry room. 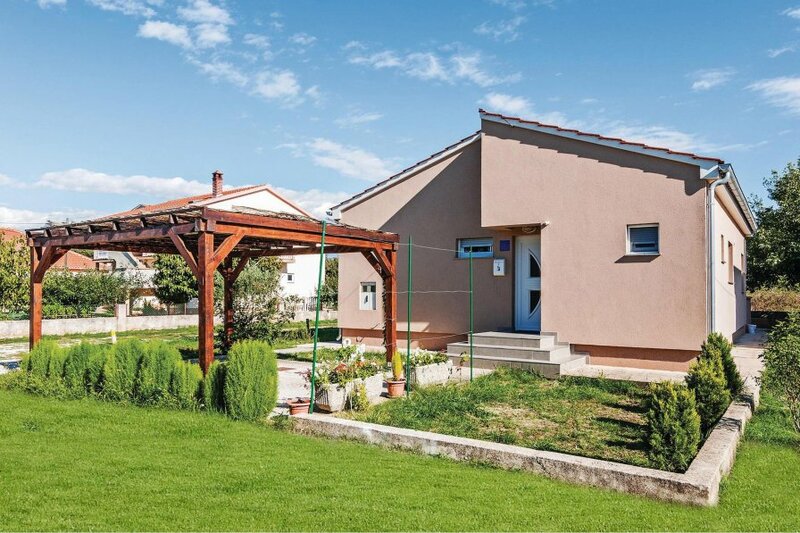 This comfortable, modern holiday home is in the peaceful district of Petrcane. 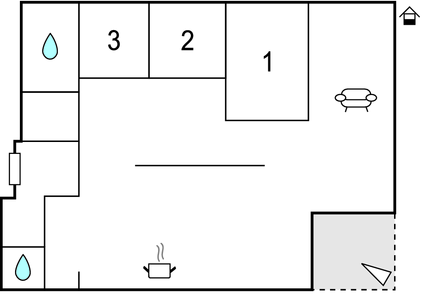 There are three bedrooms, one big living room with a kitchen and dining area and a bathroom with a laundry room. Sports enthusiasts have a choice of sporting activities. In addition, there are many leisure activities at the beaches. Do visit the historical town of Zadar with a lot of interesting attractions, especially the world famous "Sea Organ" and the "Greeting to the Sun". This modern villa is made from brick or stone and was recently built in 2008. The agent has rated it as a three star property so it is a well-kept villa, equipped with standard furniture. It is also good value for money. The villaIt is located in Petrčane, only 10km from Zadar. It is set in a very convenient location, 1km away from a stone and pebble beach. There's also a restaurant 1km away.